Don’t worry. 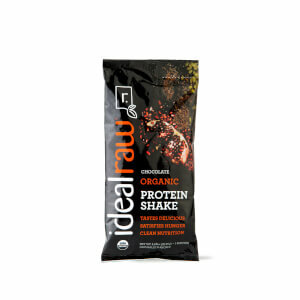 You no longer have to use an empty IdealRaw Protein tub to carry around your belongings. The IdealRaw Tote Bag is here and OMGoodness gracious is it adorable! The IdealRaw Tote Bag is made from a cotton hemp blend fabric and is the perfect canvas bag for your daily items you need to take along with you. At 18 in wide and 13 in tall, it’s also as spacious and functional as it is attractive. One of the simpler features of the canvas bag is its dual design. One side allows you to rep your favorite brand, while the other displays a charming leaf design, allowing you to express yourself in two different ways. Pretty decent tote bag. Got it for free but ended up using it for travel and it worked quite well. Plus it’s kinda cute. This tote is perfect! I'm so glad it was a gift with purchase because I probably wouldn't have ordered it on my own... But I Love It! It's so versatile, I'll probably order another! Love the bag! Not to large and cute.